Have you ever wondered where the flour that we use to bake our breads comes from? Where was the wheat grown and where was it milled? 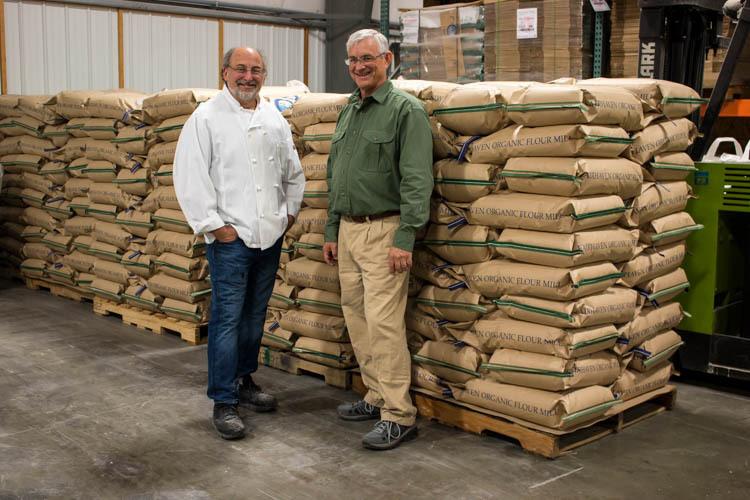 Our founder, George De Pasquale and I recently had the pleasure of visiting Kevin Christenson, owner of Fairhaven Organic Flour Mill. Located in beautiful Skagit Valley in Burlington, WA, it’s just an hour north of Seattle. Fairhaven Mill is where we buy organic wheat flours, rye and other varieties that go into our artisan, organic breads. Read on to learn more about the Miller behind your bread. Kevin’s commitment to providing the freshest flour on the earth began in 2007 when he and his wife felt passionate about wanting to get involved in something local and make a no excuses product. They purchased Fairhaven Organic Flour Mill, originally located in Bellingham, WA and first established in 1974. Today they work hard to support and encourage local farmers to grow organic grains so they can continue to mill a diverse range of wheat flours as well as gluten free flours such as rice, oat, buckwheat, soy and millet flours. All their flour is made to order. Kevin took us around Fairhaven, which was a lot smaller than I expected. He showed us his mills and talked about everything from farm to table, and being socially and environmentally responsible in the grain business. EBC: What inspired you to purchase the mill? Kevin: We were looking for a business that had a good community reputation or something that could engrain us into the community, we’re transplants from the Midwest out here. We wanted our kids to see us involved with something meaningful. We believe in organic farming we think that’s the future of sustainable farming. The mill came up for sale, in fact I saw it for sale on Craig’s list back in 2007…I thought it was a great combination…of a green sustainable type of feeling to it and their seemed to be grow. EBC: Where do your organic grains come from? Kevin: When I took over the mill we were purchasing most of our grain from a grain facility in Montana, we got rice from California and blue corn from New Mexico, but a farmer walked in one day and said, “Hey, I’m growing some soft white wheat, would you be interested, it’s organic?” We had it tested and it tested out really well. I said, “Ya, I’ll take as much as you can provide, you can be our soft white wheat guy. That blossomed into the following year he grew us some barley and the next year some wheat and we found a couple other (organic) farms and so today all of our wheat is Washington grown, some of our rye, all of our corn. We are up to about 60 percent of all our grains is Washington grown grain. EBC: Where are the farms located where you get your wheat from? Kevin: We are getting grains from as close as 20 miles away. That farmer has a truck and brings his grain down cleaned and ready to mill for us. The farmers down in Walla Walla trucks it up here. They have a trucking company bring it to us. The one in Walla Walla is a pretty large farm. EBC: Why is it important to buy local products, when possible? Kevin: I think there are several good reasons to buy local. To have accessibility to that good food… If you don’t support local farmers, they go away. I’ve lived in other parts of the country where it was really hard to source the good foods that we take for granted around here. You basically had the supermarket food and that was it. Around here we have great vegetables and we have these grains that we grow here. Instead of sending them over to Japan, Korea, or some other country we are eating them here. When we use them locally, there is a lot more value added so it really increases the benefit to our economy. Everything we do is a whole grain milling. That means its single ingredient and we are milling it for your baking needs. We don’t take anything out, we don’t add any additives. It’s really a no controversy business, we take organic grains and mill it into flour…it’s a happy business to be around, we don’t have to make any excuses for what we do. EBC: Why is your milling process superior? Everything we do is a whole grain milling. That means its single ingredient and we are milling it for your baking needs. We don’t take anything out, we don’t add any additives. It’s really a no controversy business, we take organic grains and mill it into flour…it’s a happy business to be around, we don’t have to make any excuses for what we do. EBC: What makes Fairhaven so special? Kevin: The answer to that always came from our customers. I would ask them what is so special about our flour. One lady put it this way, she said, “I do a seminar on your flour every summer with a group of college kids. I take the super market flour and I take your flour and I put it in a bowl so each of the students have both bowls in front of them. I tell them to put their hands in the flour and tell me what the difference is. Every one of the students will say that (your flour) feels more alive. I think one of the big things with Fairhaven flour is that we source premium ingredients. You can find cheap grains, you can find grains that maybe don’t meet the highest specs or they haven’t been kept in the best condition. We never try to save money by buying cheaper ingredients. We give good ingredients and we make it fresh. Typically anything leaving this warehouse is less than two weeks old. We ask a lot of our bigger customers to give us ten business days to mill their flour because we are milling all of our flours on a regular basis. Whereas if you went to a big factory typically they might mill three months’ supply of this type of flour… and move to another type and mill three months of that. A lot of your flours may be several months old by the time you are using them and I think freshness does have a value. It’s food and the more alive it is, the better it is for you. EBC: Where does your flour go after it’s milled? Kevin: We’ve made a real effort to keep our flour within a 500 mile radius. I get calls from New Jersey and Florida. If you search organic flour, Fairhaven is the first to come up so we get a lot of people calling. We’ve made a notation of small mills around the country and we tend to send business to them. Trucking is a huge expense and whatnot. I feel we should be involved in sustainability. We ask those people if they get calls to send them this way. EBC: Where would I find Fairhaven Flour? Kevin: We are very accessible. 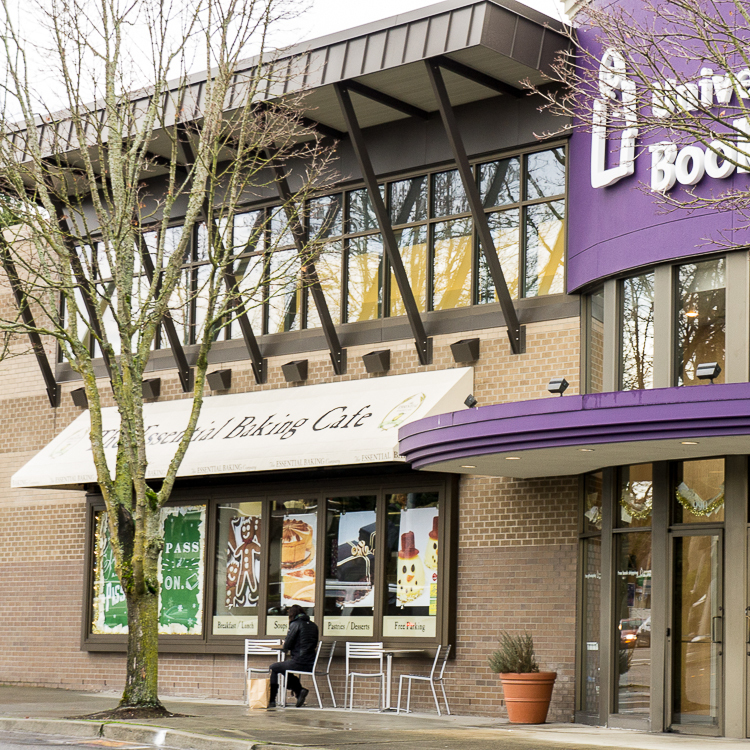 If you go to any of the major grocery stores between Vancouver down to Portland, we are in most of the large grocery stores like the Hagen’s and Top Foods. All of the natural food stores would have some of our product in it. All of the natural food stores like PCC, Town and Country, they carry a lot of our stuff. Wholefoods is carrying more and more of our stuff in the bulk bins. If you don’t see it, you can always ask for it. That’s always helpful. EBC: How does Fairhaven support the local and sustainable movement? Kevin: Our relationship with farmers is to make sure the farmers are getting a fair profit year after year. That relationship has benefited us because we don’t play a commodity game. If the commodity price is real high the farmers get a little more, but if it’s real low, they don’t get beaten down to where they don’t make a profit. We try to work together and we work with companies like (The Essential Baking Company) to develop a price at harvest time and carry that through the year. We negate the ups and downs in the market. That gives the farmer an opportunity to make a living that gives us the opportunity to make a living, and it gives (The Essential Baking Company) and opportunity to make a living and we think this is the meaning of local and sustainable. We all get to do a quality product and get that to the consumer. EBC: How many different types of flours do you mill? Kevin: We do our hard red wheat is what we use for our bread flour, it’s our premium grade wheat for making bread. We do that in three different grinds. We do a fine, we do a medium, which is a little coarser and we do a stone ground which we do very coarse. The fine is 80% of what we sell. A few places like medium and the coarse a lot of bakeries buy a little bit of it. Not sure how they all use it. Some use it just to feed their starters, they like the coarseness for that. All together we do thirteen different types of flours. That’s including 5 kinds of wheat. We do a durum pasta flour and we’ve got barley flour, spelt flour, blue and yellow corn meal, we do oat, millet, buckwheat, so quite a few, and rye is good flour for us too. EBC: Are you doing gluten free flours? Kevin: We aren’t a certified non-gluten. We do go through a process where we clean out our mill. We do all of our non-gluten flour all on one mill. We have three different mills all together. It tests out pretty good, but we are not comfortable certifying it if we can’t dedicate it 100%. When people call and ask me about it I say well if you are somebody who could get sick from just the tiniest amount I wouldn’t use it, but if you are just trying to avoid gluten it’s a real good value because typically our organic gluten free is cheaper than the non-organic (certified) gluten free that you find in most stores. EBC: George, what varieties of wheat do you use on a regular basis from Kevin’s mill? George: “All of our whole wheat flour that we use is from Kevin’s mill, it’s all stone ground, and some of the other grains we use, such as rye, we use are from here as well. We use local grains as much as possible and there are many reasons for that. There is the carbon foot print aspect, but also it’s really important to keep the local economies diverse enough to be sustainable so that you don’t have a situation where you have an area or town that’s completely devoted to one industry and if that industry goes belly up, the whole area goes belly up along with the families that live there. The other reason for supporting local farmers is so you have a diversity of wheat that goes into your flour, creating unique flavor. EBC: What are the benefits to sourcing flour from Fairhaven? George: As a Baker, having a diversity of ingredients to work with is important. If (Kevin) has flour coming from one source, he’s limited, but working with Kevin whose sourcing wheat from different sources, I have a lot more of a diverse palette to work with. I can produce a lot more interesting products. It’s like having one color to paint with as opposed to a full palette. It’s the diversity of taste that’s important to me because all I have to work with is flour and if it’s all the same, if it’s all coming from one source. EBC: How is organic farming and milling different from their conventional counterparts? Kevin: “In chemical farming, the soil isn’t alive anymore. It’s like hydroponic growing, you’re not relying on soil and therefore you are not getting micronutrients and you’re not getting diversity of taste. George: At a conventional flour mill, they take the wheat and keep stripping more and more out of it until you get to the endosperm, which has no flavor, hardly any character. It’s a good medium to grow yeasts and bacteria that we like to use to make bread. 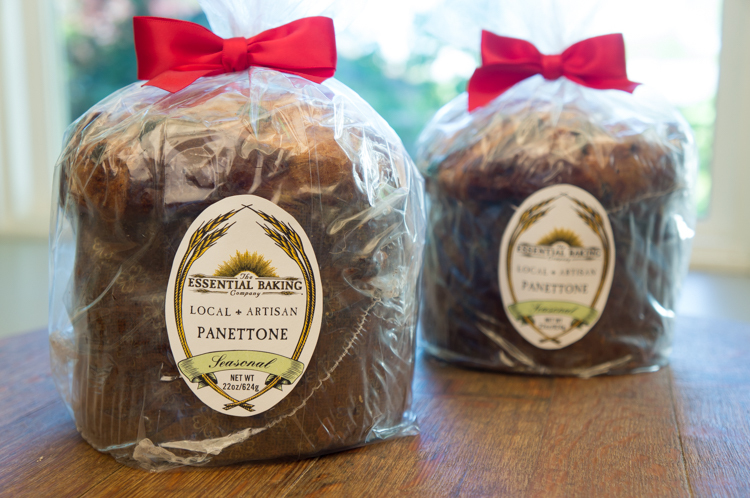 EBC: What’s the difference between a conventional bread you find at any local market and your artisan organic bread? There’s so much to that question. As far as the flour goes, the way that white flour is milled is that it goes through a set of rollers to break the wheat down. Each time it goes through more and more layers are removed until all you are left with is the endosperm, which has no flavor and hardly any character. It’s a good medium to grow with yeasts and bacteria that we like to use for bread but it has no intrinsic flavor. When you buy wheat from a conventional mill, the whole wheat is achieved by putting all those nutrients back together in the wheat.When we buy flour from Kevin, or any other stone mill, the entire kernel of wheat is being milled into a fine powder and it has all of the complements of that wheat still in the same proportions as it did in the field. It’s not reconstituted or engineered to have more protein or more ash, it’s just what was in the wheat as it was in the field. It’s the diversity of that material that makes the baking of it so interesting. So the next time you tear off a piece of an organic loaf from The Essential Baking Company, know that you are supporting our passionate and hardworking organic farmers, our organic mills and our organic bakers. This is the perfect time to get a head start on your holiday meal planning by placing your bread, pastry and dessert orders for the holidays! Call one of our cafes, Georgetown, Wallingford, Madison Park or Bellevue, to place your holiday orders before Nov. 14th for Thanksgiving and before Dec. 12th for Hanukkah, Christmas, Kwanzaa, and New Years to save 10% off your order. (Retail customers only.) 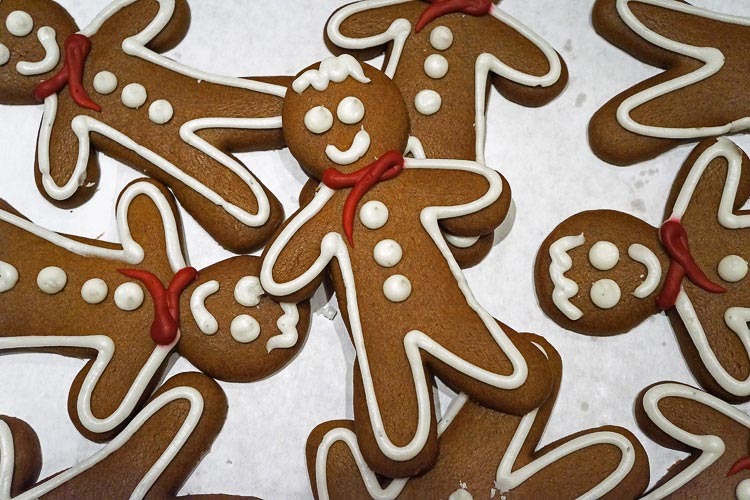 Keep an eye out in our Seasonal section for a list of holiday products. 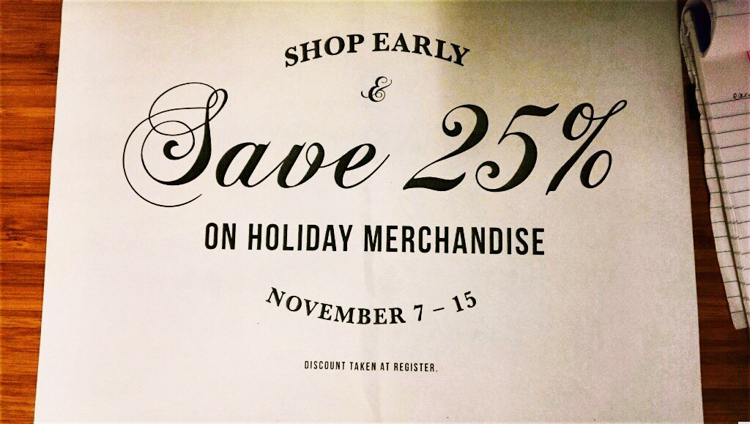 Holiday items are also shown in their sections on our website.